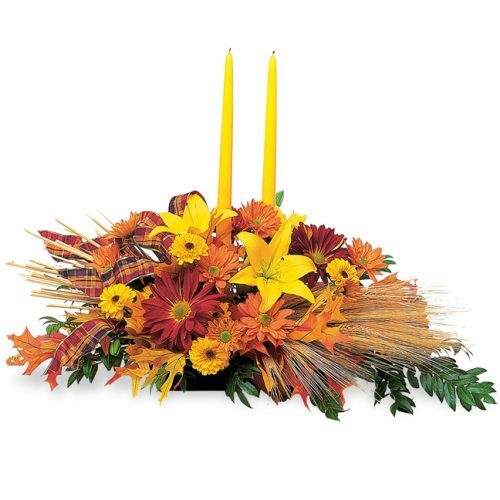 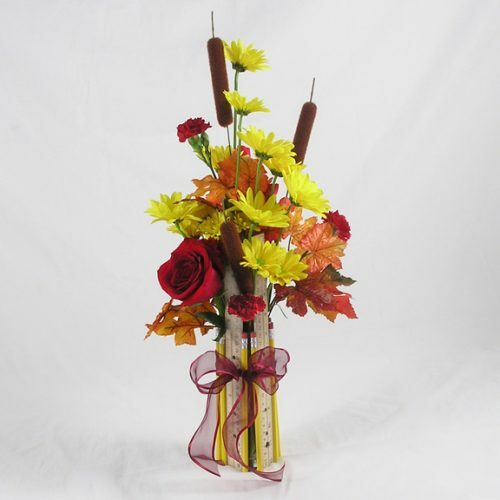 WW-528 We love the striking complimentary colors in this fun bouquet! 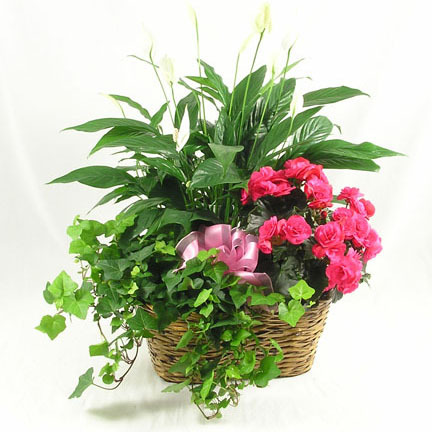 Hot pink roses, pink lilies, and Bells of Ireland are the featured flowers in a lime green glass cube. 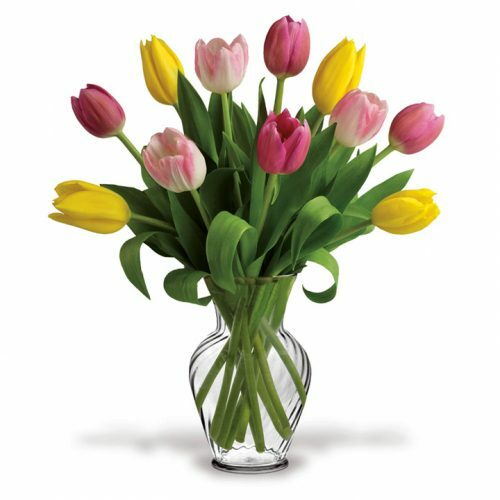 We love the striking complimentary colors in this fun bouquet! 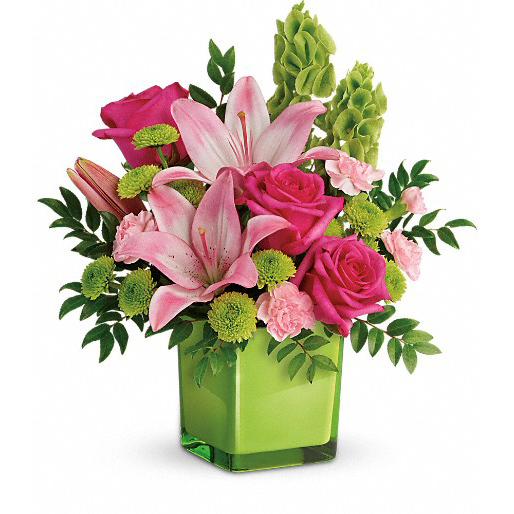 Hot pink roses, pink lilies, and Bells of Ireland are the featured flowers in a lime green glass cube.